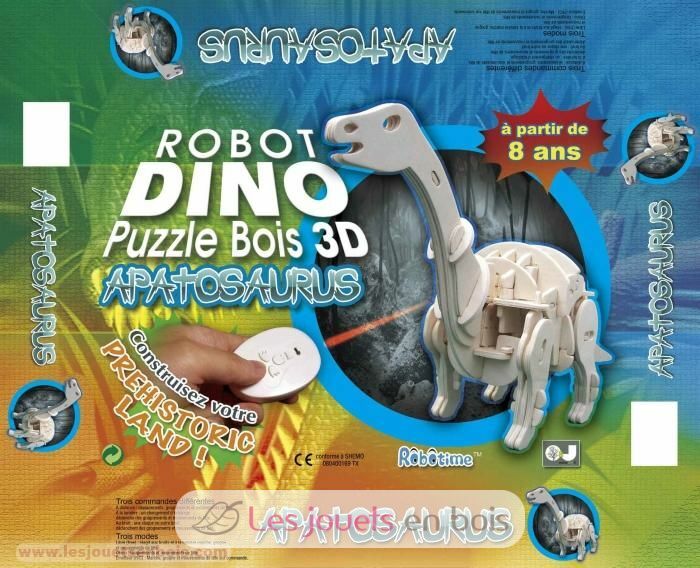 Apatosaure, a model animated in 3D, a model robot dino, for child from 8 to 13 years. 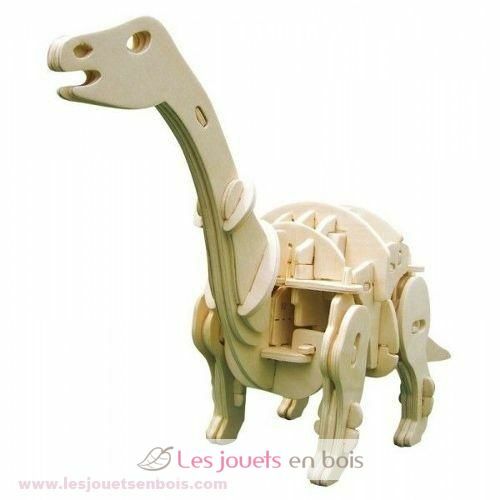 Ideal for the children from 8 to 13 years (for young people, the assistance of an adult is advised); You knew the puzzles in 3D and the animated dinosaurs very ridden, and well discover the model of wood dinosaur in animated 3D! The apatosaure is composed of 144 marked parts all, of an engine, one limps of food and a buzzor. He is delivered with a very detailed note of assembly with images. The set-up time is 1:30 at 2:00. This toy requires the use of 3 AA batteries and 2 AAA batteries not included.